Awwwsome posssum new hardware from dell, I am starting a donation for me. Please paypal me some money so I can get these and review them for my 0wn personal use. Thank you please drive through. •Dell DJ and Dell Music Store. The DJ is an MP3 player. The music store, however, is likely to get more attention, given the hotly debated issue of online music and popularity of Apple Computer’s iTunes music downloading service. •Dell Media Experience. This is a screen that can pop up on a Dell monitor on top of Windows, so it would be the first screen a Dell PC user would see. Microsoft for years prevented computer companies from doing this. Dell is aiming to make Media Experience an easy way for users to find music, photos, connections to radio stations and other media without having to open other programs or search Windows’ file system. 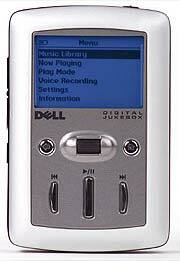 •New wireless-capable versions of Dell’s Axim handheld computer. 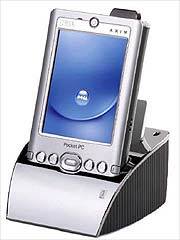 As an example of Dell’s clout, within two quarters of launching its first handheld, Dell grabbed 36% of the market. R0b0T soldiers would RULE, anything dealing with RObotzzzzz rules. I want one to beat peoples asses that bother me. I want an R2 unit that has a built in Mallet to SMASH with. Check out what out goverment is doing with Georges Ideas. A Scottish computer company has designed Star Wars inspired robot soldiers for the Pentagon. ROBOT soldiers manufactured to kill enemy troops have been designed for the Pentagon by a tiny Glasgow computer company which is set to make millions from the deal. Essential Viewing says the technology comes straight from the world of science fiction. Chief executive Simon Hardy said the technology had its nearest equivalent in the Star Wars movie Attack Of The Clones. WOW, these just keep on trucking in... my buddies alway try to out do themselves, here is another useful Script to add to you logon. Here is a really cool script that one of my buddies came up with, EVERBODY will make use of it. These are errors are ones I LOVE to see, that aren’t Windows Errors... Why do people still use that old technology UNIX.